With over 30 years of experience, you can count on Sante Property Damage Reconstruction to fully repair your Bolton property. We have sourced trained staff and latest equipment to get the job done. Don’t face property loss alone. Whether you have suffered fire or water damage, we can help now. Put your trust in our expert and affordable solutions today. Sante Reconstruction is available 24/7 with our fast and friendly service. We can get to you in an emergency. Our technicians will stabilize any disaster to limit property damage. This will save you time and money. We work with your homeowner’s insurance and handle the paperwork. Let us get you back home or to business with our residential and commercial property damage reconstruction services. Sadly, fire and water damage have long term impacts on properties. The sooner you act, the less property damage repair you will need. Sante Property Reconstruction is a full service company with comprehensive solutions. Fire and water issues often lead to mold. We can eliminate mold problems before they begin. We won’t solve one problem only to leave you with another. Our Bolton fire, water, and mold repair is top rated and professional. We care about our community. Our property damage reconstruction is locally owned with deep roots and relationships. If you have experienced fire property damage, it is time to call in the professional experts. 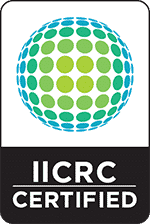 Our trained and licensed teams of fire repair experts quickly assess and act. We will limit the spread of smoke, soot, and emergency water. By acting now, you will reduce costs and the impact of fire damage to homes and businesses. We will stabilize and contain fire repair needs with our sophisticated solutions. Our decades of experience and superior customer communication keeps your project on budget. Fire damage is intimidating. Get us on your side today. Our results are professional and stand the test of time. Sante Fire Reconstruction creates fire damage repairs you will love to live with daily. Water damage is a complicated repair issue. If it is not professionally eliminated, water and moisture linger and lead to mold, mildew, and odors. We provide water damage elimination to Bolton and the whole of Connecticut. You will be impressed with our thorough and lasting results. Water damage repairs may be from natural water or plumbing. We know how to handle both. If you are having a water damage reconstruction emergency, call us now. We will stop the damage fast to prevent seepage from spreading. Let us save you time and costs today with our quick and quality water damage elimination. Have you found mold damage in your home or commercial property? We can help now. You may have concerns about air quality, spore spreading, and odor. Our trained mold technicians have the know-how to fully eliminate mold damage. We find the source of the problem for a complete solution. Often, we are called in after an unprofessional service has left but the mold returns. 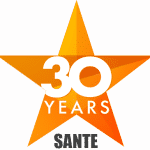 Sante has handled mold repair issues for over 30 years. Mold damage repairs can lead to serious health risks if not managed correctly. Let us reduce your liability and concerns with professional mold damage reconstruction. Despite best efforts, no one can fully prepare for storm damage. High winds, flooding, and winter weather events create devastating results. Our storm damage reconstruction is top rated as fast and effective. With expert solutions, we can transform your storm damaged property into an opportunity. Not only will we repair storm damage, we will stabilize and secure the property against theft and vandalism. Our sensitive and professional reconstruction teams are available in an emergency to get on your side now. Sante Reconstruction works with your homeowner’s insurance to ensure the best cost and solutions. Don’t let storm damage reconstruction intimidate you. We are just a phone call away, 24/7. Do you need commercial property repairs in Bolton? Sante Reconstruction is available now. We have handled large and small business repair projects. From apartment complexes to factories, our teams are fully licensed and insured to protect your interests. We have invested in staff education and equipment. This allows us to work quickly and effectively on your commercial property reconstruction. If you are in an emergency, we offer 24/7 reconstruction commercial services. Our expert assessments and smart solutions provide our clients with superior results at the best possible cost. Our Bolton general contractor services provide homes and businesses with professional results. We use the latest equipment and time honored techniques achieve the best outcome. Licensed and insured, Sante Reconstruction has invested in our employees and tools. If you need general contracting services, you can put your trust in our three decades of experience. Our customer service is friendly and fast. Let Sante Reconstruction make your dreams come true with our talented general contractors. Sante Property Damage Reconstruction has over 30 years of experience serving the Bolton area. Deeply rooted in the community, we provide the best fire and water damage, mold elimination, and general contracting services. Our 24/7 availability means we can be to you in an emergency. Call us today to discover what professional property damage reconstruction can do for you. Does your Bolton Home or Business have Damage?